Black Hog Brewing started with the story of food, family, and a love for craft beer. Brothers Jason and Tom Sobocinski come from a Polish/Italian family where food and drink is always the focus of every gathering. From Jason’s wedding to his son’s birthdays, roasting a pig has become the favorite way to celebrate any special occasion. Tyler Jones, an old family friend and former brewer of The Portsmouth Brewery in New Hampshire, contacted Jason and Tom with a plan to move to New Haven so his wife and son could be closer to their family. With a plan in the works to form a brewery that would celebrate family and food, they needed to encompass all that they were passionate about. When they celebrate, they roast a hog and the Berkshire hog is the breed of choice, thus Black Hog brewing was born! Tyler earned his Chemical Engineering degree from the University of New Hampshire, and was lucky enough to stumble upon a homebrew kit in the coat closet of his apartment. Brewing went from fun activity to obsession and after graduation he decided that he needed to attend the Master Brewers program at UC Davis to turn this passion into a career.He came back East to look for work and got his first brewing gig at Mercury Brewing Company in Ipswich Mass. An opportunity opened up to work with Tod Mott at the Portsmouth brewery and Tyler quickly jumped on it. While working with Tod for 4.5 years Tyler got to learn the true art and craftsmanship that should go into every pint. To gain a little more production brewing experience Tyler worked at Smuttynose Brewing Company for a year before taking over as Head Brewer at the Portsmouth Brewery. Tyler continued to provide uniquely honed libations during his tenure at the Portsmouth Brewery. Brewing beer is the perfect blend of art and science that allows both sides of his brain to be firing all day. When Tyler is not knee deep in mash, he enjoys his life as a daddy to his two sons, Noah and Odin, alongside his wife, Rachel. Tyler also has the second highest Galaga score on the brewery arcade machine! Tom joined brother Jason Sobocinski in 2009 when he decided to spend a summer working at Caseus Fromagerie Bistro in New Haven. After the summer Tom decided he loved the business and the different facets it entailed and he wanted to sign on full time. The two decided to start The Cheese Truck together (www.TheCheeseTruck.com), which quickly became the top food truck in New Haven. In 2012 Tom and Jason were looking for another project and stumbled upon the old Richter’s Bar. After months of planning and restoration, Ordinary (www.OrdinaryNewHaven.com) opened in April of 2013. Ordinary focuses on fine wines, craft beer, and specialty cocktails along side a selection of charcuterie, cheese, and BBQ.Tom lives in Hamden with his wife, daughter Ayla, and his dogs named after his favorite cheeses, Beemster and Camembert! He loves motorcycles, mountain biking, and flying airplanes in his free time. Tom finds the restaurant/beer business to be very intriguing because he is able to use a large array of skills and no two days are ever alike. How could it get any better? Throw beer, friends, and family into the mix! – Tom manages much of the finances for the brewery along with sales, distribution, hiring, and marketing. Jason Sobocinski was born and raised in New Haven, CT. Jason attended Providence College, where he earned a bachelor’s degree in Marketing and minored in film. After a 8 month trek through Australia and a failed attempt at a desk job Jason moved back to New Haven and began catering and taking a heavy interest in his favorite subject; food with a story behind it. Cheese naturally was his focus and passion. What else could be so delicious in its natural state and then elevated to new level when melted! ?After working in restaurants as everything from a waiter to a baker, cook and manager, Jason decided to continue his education in food by attending Boston University where he pursued a Master’s degree in Gastronomy. During his time in Boston he worked for the prestigious Formaggio Kitchen in Cambridge learning about cheese, its roots in culture and its rich stories.When he moved back to New Haven he opened his own cheese shop with adjoining restaurant, Caseus Fromagerie Bistro. Jason supports sustainable farming by purveying local produce and naturally raised meats. He excels at searching out the best American and International cheeses and holding educational classes and dinners all to bolster his quest of a continuing edible education. Jason hopes to increase everyone’s relationship with their food and enhance their experience through a fun approach to products deemed “fancy” by stripping them of all contentions and mystery.In 2011 Jason starred in the Cooking Channel show The Big Cheese and continues to work with the Cooking Channel on cheese specials. His cookbook The Caseus Fromagerie Bisto Cook Book came out in 2010 and has sold all over the country. Jason’s newest project now introduces his two loves of BEER and BBQ into the mix. Jason will over see the Black Hog tasting room, marketing, and sales. Of course, each Black Hog brew will have a suggested cheese pairing!Jason lives in Hamden with his 3 children, a lovely wife who supports his many endeavors while working full time as a teacher, and a large dog named Brisket. He loves riding motorcycles, cooking for his friends and family and telling the cheese stories. Justin was first introduced to brewing when he was serving over seas and some of his friends setup a small brewing operation. After serving as a Airborne Ranger in the 3rd Ranger Battalion in OEF and OIF, Justin returned to the U.S. and joined Cavalry Brewing in 2010 as an assistant brewer. During his time at Cavalry Justin became familiar with the 15 barrel Premiere Stainless brewhouse and brewed many English style ales along with some of his own recipes. Justin facilitated in cask evenings, sales, and distribution – in addition to brewing. Justin is thrilled to be working with Black Hog Brewing alongside Tyler Jones. He has expanded his brewing technique and has explored many new recipes and ideas including the experimental Bush Pig Series that includes one-off concoctions. Justin has been a huge asset to the development of Black Hog Brewing and can’t wait for some more beers to come!Justin enjoys long walks on the beach, upland hunting with his dog, and hiking. His favorite foods are pizza and cylindrical meats. Marissa first fell in love with craft beer while grabbing a few pints with classmates at Delaneys in New Haven before field geology trips, and pouring at Brass City Brew Fest in Waterbury. Marissa previously worked as a park ranger for the U.S. Army Corps of Engineers, geochemical research assistant for SCSU and Yale, and most recently, a seismic monitoring consultant for blasting companies. 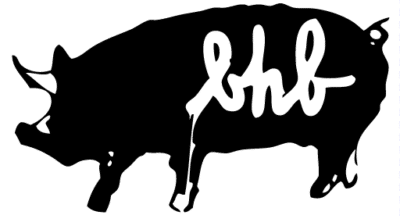 She is thrilled to be part of the Black Hog squad as of March 2015 as their Tasting Room Manager and Event Coordinator, as well as the Director of Black Hog’s charity wing, Black Hog Helps. Marissa enjoys trying the latest and greatest bars and restaurants, learning something new, exploring the outdoors in her kayak, cycling, hikes with her dog, and checking off items on her bucket list. Michelle was turned on to the craft beer scene in 2007 when she took a job with Plan B Burger bar. It was like leaving Kansas and ending up in OZ with a technicolor world of possibilities. After years in the service industry which bestowed Michelle with a solid knowledge of craft beer, as well as bourbon, she decided it was time to switch things up and expand her horizons once again. After working in the tasting room for a few months the proposition for a more full-time position was presented and she jumped on it. Currently Michelle works as the Distribution Manager and Events Coordinator. Come visit her in the tasting room on the weekends and grab a pint! Michelle can be spotted in the local theatre scene as well, keep an eye out! Nick worked at a grocery store for 7 years gaining experience in almost every department until he was 22. Initially all just to afford skateboard decks and Mtn Dew. He quickly fell in love with craft beer, and became obsessed with the idea of brewing his own. Before his first batch was bottled he quit and got a job at the package store adjacent. There he gained a wealth of knowledge about wine, whiskey, other spirits and distribution on top of beer styles, breweries and sensory analysis. From there he got an internship in the brewhouse and a job in the tasting room here at Black Hog! Nick is a total foodie that was stuck between becoming a chef and chasing a professional writing career. Instead here we are! Nowadays you’ll find him somewhere in the brewery; cellaring, making liquid, and keeping everything running smoothly. On weekends he’s usually brewing, hiking, riding his skateboard, or out visiting other breweries and spreading the love.